The grand opening of the Hua Quan Village will occur on the 3rd day of November 2017. The Village is located in Jiangxi Province in full view of the stunning vista of Dragon Tiger Mountain of China. This extraordinary art and cultural village is now completed. 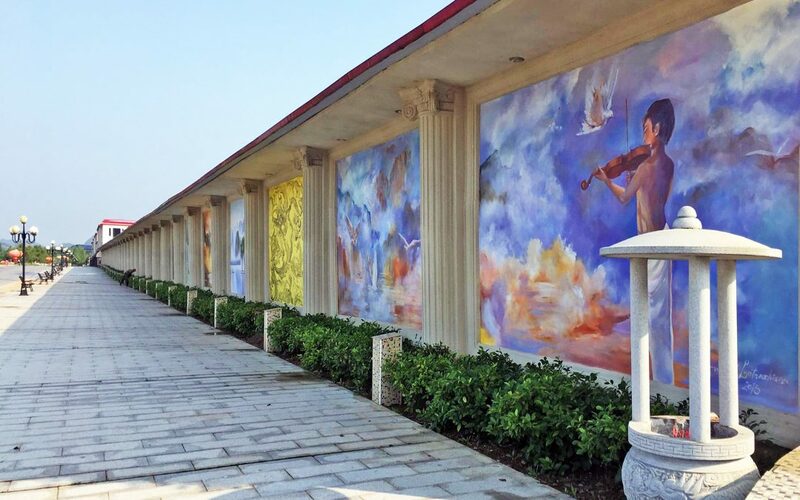 It is the creation of the visionary Steven Chia Chang Liu, and home to artists and musicians from across China. The village is surrounded by over 100 murals, all part of The Miracle Project where artists from around the world have come to share their story, in collaboration with the Global Mural Association. In this Shangri-La surrounded by beautiful trees and breathtaking mountains, you can meet resident artists as they create artwork on site and you can learn a variety of art forms ranging from traditional Chinese landscape painting to ceramics and wood carving. Immerse yourself in learning, exchanging ideas and information, and by participating in art, music, culture, and wellbeing classes offered by resident and visiting instructors. Discover Chinese culture at our interactive museum and savor a unique collection of artwork at our art and china museums.